Drugs are under a lot of stress. The environment can have a huge impact on how well a drug is working, and whether it is breaking down and forming toxic degradation products. The shelf life of a drug product depends a great deal on that environmental impact. Temperature and humidity are two conditions that are well known to have influence on the drug structural integrity. Another is exposure to light. Light imparts energy, breaking bonds and causing degradation. Exposure to light, particularly in the ultraviolet range, causes degradation for some, but not all products. Drug developers have to have a thorough understanding of the effects of light on their products. To do so, photostability studies are run as part of the drug development cycle. Of interest for research on light’s effect are the segments of the light spectrum defined by researchers as ultraviolet (UV), visible and infrared (IR), ranging from 300 to 900 nm wavelengths. 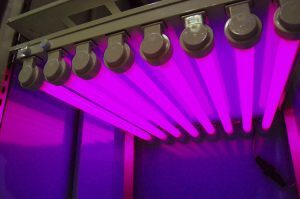 In the UV range further distinctions are made into UVA (315-400 nm), UVB (280 – 315 nm) and UVC (100-280 nm) ranges. UVC is not generally a factor for drug evaluations because it is filtered out by the atmosphere and drugs are not exposed to it. UVA, UVB and visible light exposure are common, and UV light is usually more impactful because it is more energetic and better able to break chemical bonds. In my next installment, I will explore approaches to testing. Stay tuned.